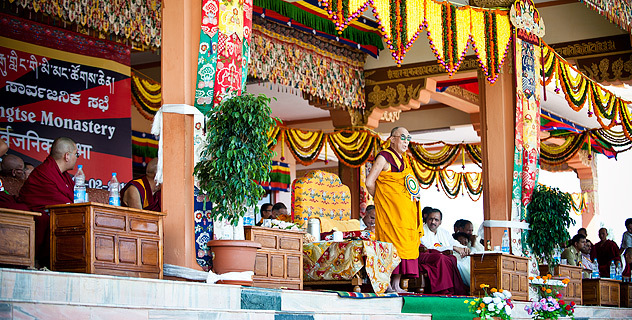 His Holiness, The Dalai Lama, is both the temporal and the spiritual leader of the Tibetan people. He frequently states that his life is guided by three major commitments: the promotion of basic human values or human happiness, the fostering of inter-religious harmony and the welfare of the Tibetan people, particularly the survival of their identity, culture and religion. Her Grandness, The Dalai-Nana, is both the timeless nurturer of all children and the lover of the most interesting people in the world – her Grandchildren. She often tells her friends that her life is guided by three major commitments: the promotion of her grandchildren’s happiness, the fostering of family harmony and the survival of her families identity, culture and religion. Oh, and some times a little search for adventure and knowledge! So join me as we explore the adventures of grandmothers and grandchildren. Help me seek wisdom and guidance to share with them and Share with us your best. As a Digital Marketer, it seems only fair to share the knowledge I have accumulated about digital tools, techniques, programs, marketing and products with Baby Boomers, Grandparents, and the people who love them. There is so much change on the internet and with smart phones and with the lives we are all leading, I try to consolidate this to relevent content for Boomers. Watch for the series of interesting things that The Digital Dalai-Nana Shares .